Android Oreo is Now Available on Essential Phone! Today we're super excited to deliver our first major Android upgrade. Welcome to Android™ 8.1 Oreo™ for your Essential Phone! We’re committed to continuing to keep those updates coming as fast as we can. We want to take this chance to say a special thank you to all our awesome beta users. Thanks for all your amazing feedback, and coming along for the ride! Check email while you watch a movie. Surf the web while you video chat. Take a phone call without your directions disappearing. With picture-in-picture, you can shrink an app into a floating window while you multitask in other apps at the same time. 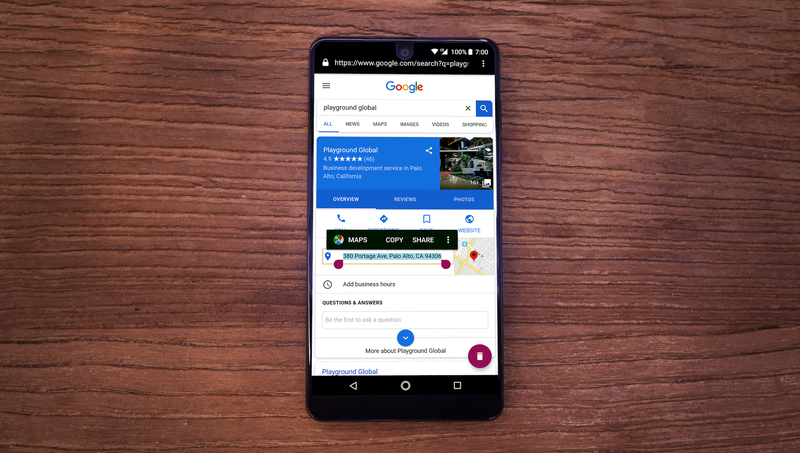 It works great in the apps you use every day, like Google Maps, YouTube, and video calling apps like Google Duo and WhatsApp. The notification shade is now a chameleon, taking the light or dark look depending on your wallpaper. Settings are reorganized to make it easier to find the things you need with less scrolling. 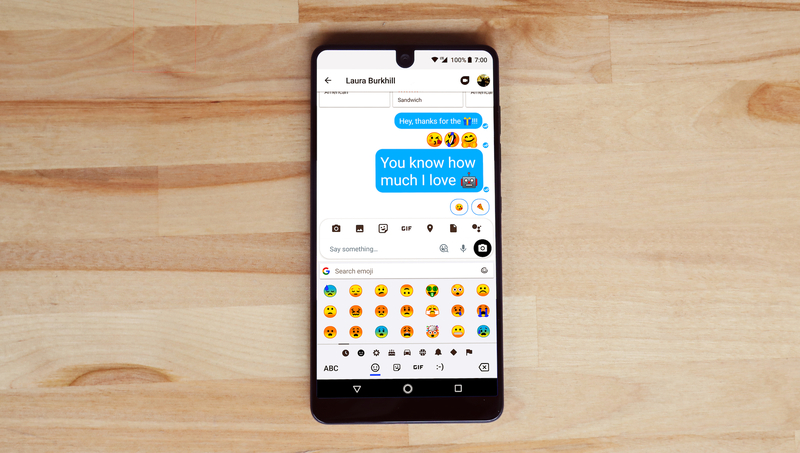 And Android 8.1 also adds 60 new rounder, more detailed, more expressive emojis (and a fixed cheeseburger). Notification dots bring your app icons a new superpower. They appear on an app when you have a new or missed notification. Long press on an app when you see one of these to preview, open, or dismiss the notification right from your Home screen. Notifications in the notification shade have also gained some new abilities. Persistent notifications are now bigger or smaller depending on the app. Some, like password managers, are now in condensed cards that can expand with more information. While others, like media apps, are bigger and include extras, like album artwork and playback controls. Snooze a notification for up to two hours and adjust its priority. 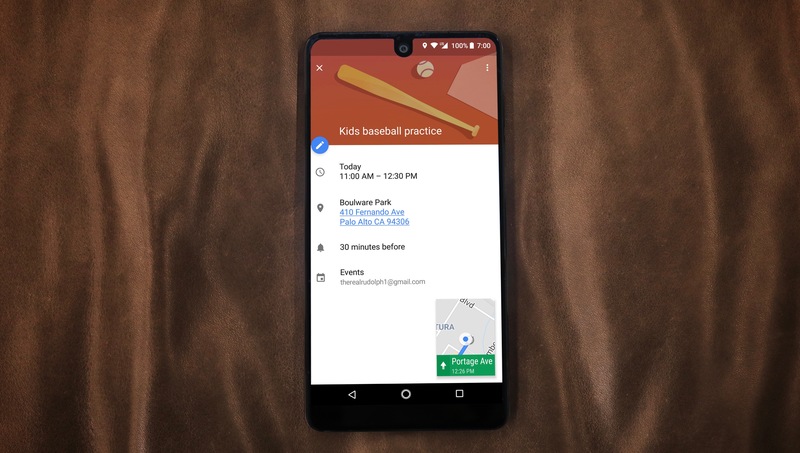 Use notification channels to combat notification overload by telling your phone what alerts you want in each app. And with adaptive icons, you can change the shape of your app icons without having to download a launcher and various icon packs. Smart text selection brings intelligent to your copy and paste. It recognizes addresses, business names, phone numbers and more. Then automatically highlights the entire text and predicts which app you’d use. Autofill can remember your personal information like usernames, password and, credit card details (with your permission of course!) — making it quicker to log into websites or fill in forms or card details. These few examples don't scratch the surface of the number of new ways your PH-1 gets better with Android Oreo. 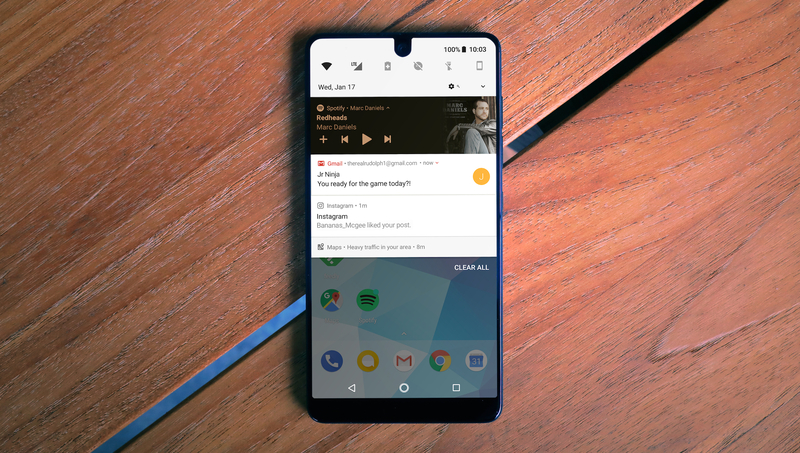 Google Play Protect helps keep your PH-1 secure before you even download an app. And refinement of Multi-Window Mode makes it easier to navigate between your apps. But there's so much more. Check out our Support page for How-To's, tips and tricks, and more on Android Oreo and Essential Phone.